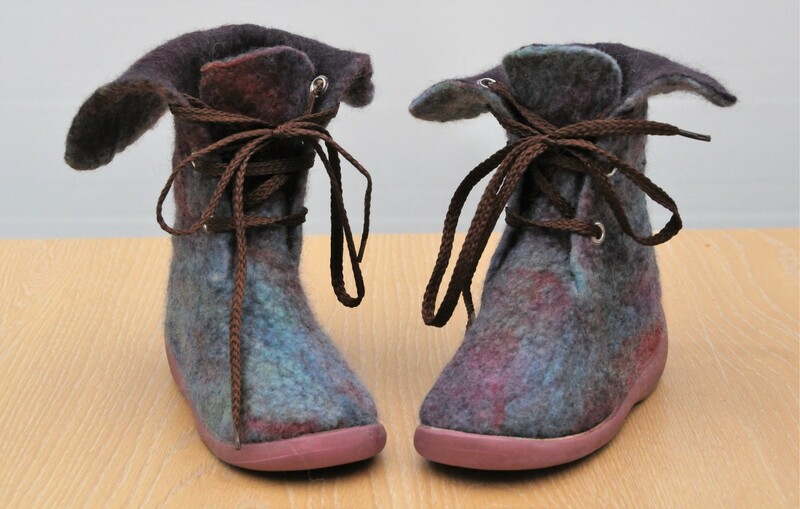 Little Boho or Festival Hippy Boots! A Little About This Project! 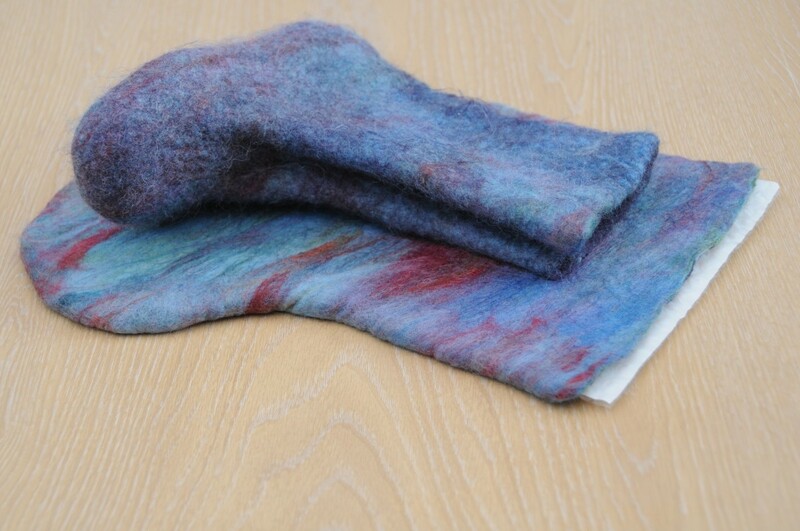 Wet Felting is a growing Art Form and as it grows, so too is the growing list of available aids and tools which are being developed to cater for this developing market. Many of these tools are expensive. 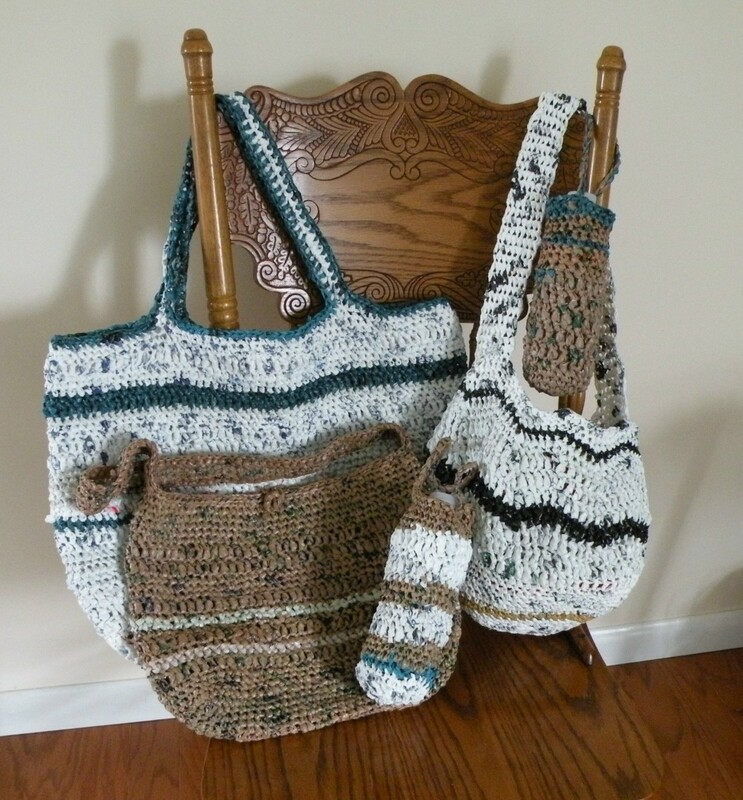 Many will claim that these things make it easier for them to create wearable art and/or decorative pieces in a much shorter space of time, but are they really necessary? I prefer to use everyday items to help me create my pieces so with this in my mind I have searched for a few simple items which most people with young children will have at home or can buy very cheaply from a Car Boot or Thrift Shop. I am passionate about recycling and repurposing. My mind sees developing projects in almost everything I come across. 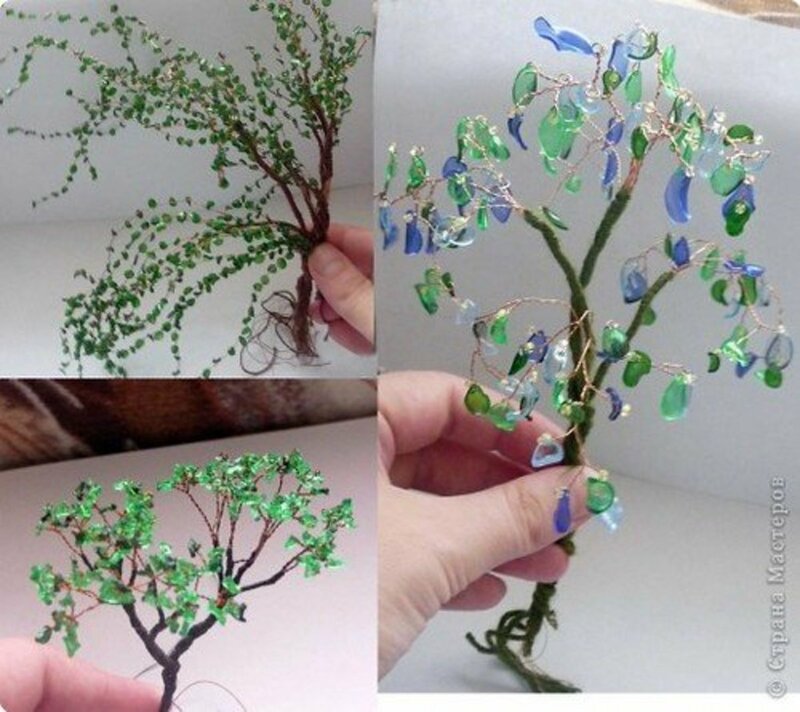 If it is 3D then I know that I can use it to create wearable or decorative Art. It is my hope that by the end of this Tutorial you too will begin to see the potential in everyday things which we all have laying around our homes. 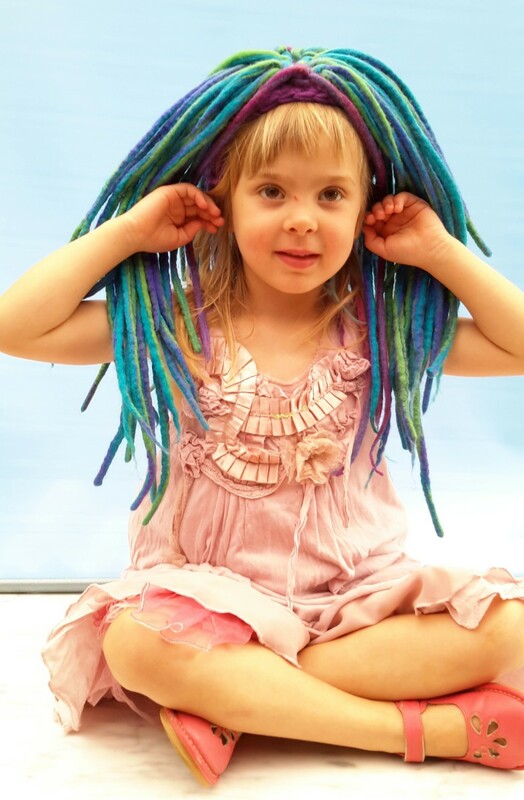 In this Tutorial I will use a pair of Jelly Beach Shoes to achieve some Boho Hippy Style Boots for a child. The piece de resistance is the high sided Shoe Soles which I cut off from some shabby Clarke's shoes which I purchased second hand from a Car Boot for fifty pence. A new pair of soles can set you back about £15 plus postage to have them shipped to your door, from some far flung land. The saving you will make is well worth the effort to keep your eyes peeled for bargains like these. 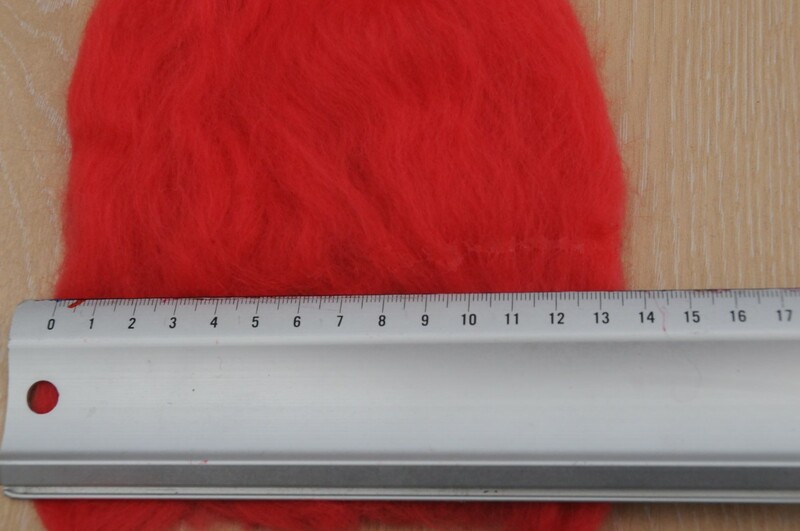 (Note that the Jelly Shoes should fit comfortably inside the Pair of Soles) Remember to buy soles which are one size larger than your usual foot size as the thickness of the felt will take up the space of another one size. 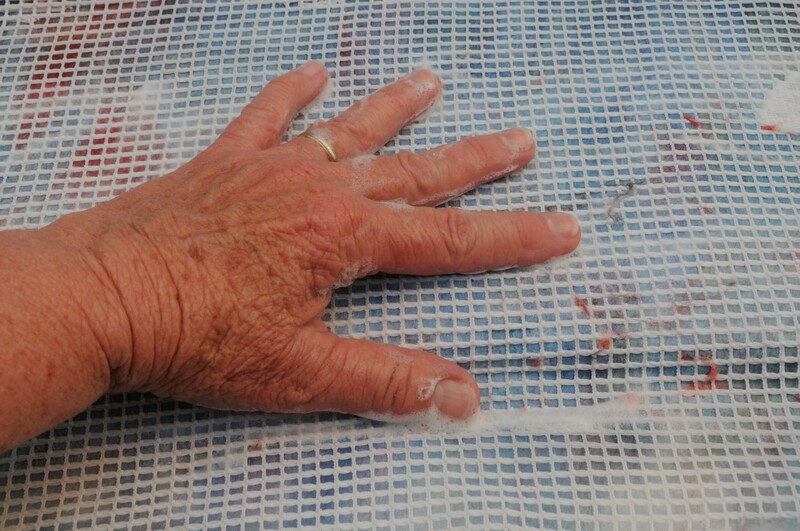 Wet each layer with warm soapy water, press the water downwards and outwards towards the edges of the template. 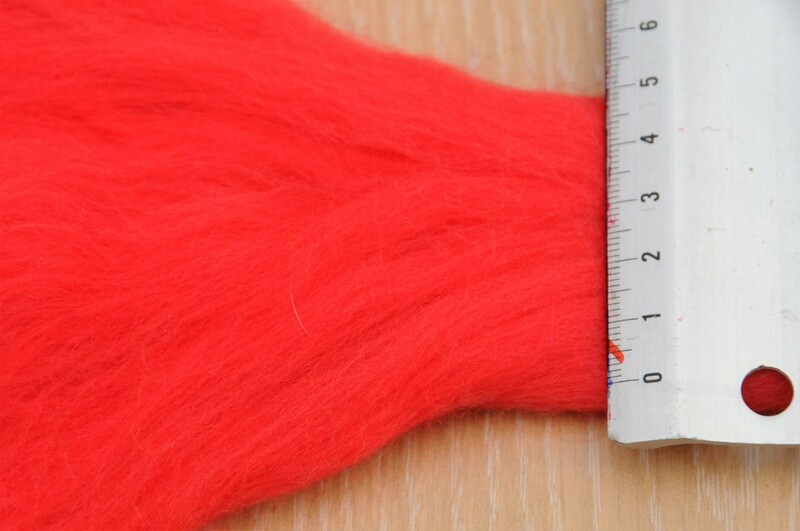 Only gentle smoothing out of the fibers is required here. It is not necessary to have the water very hot at this stage. Warm water will suffice. 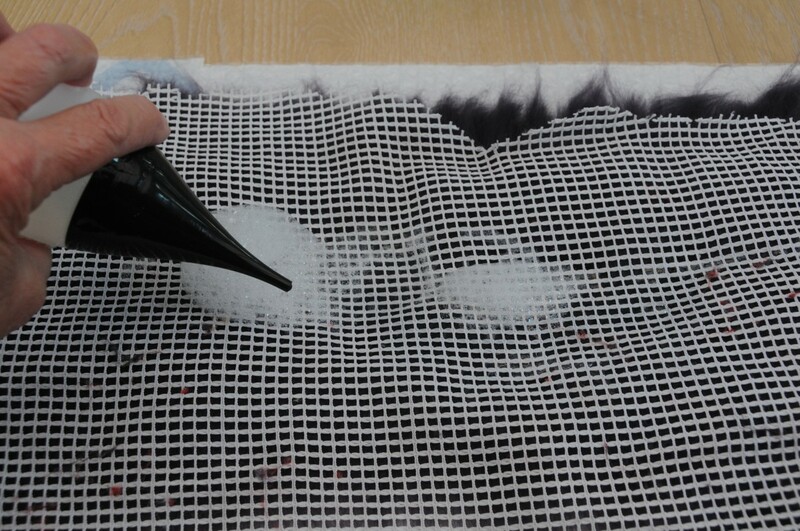 Make sure that there are no Thin Spots! The middle layer should be laid out in the manner shown in the example below. 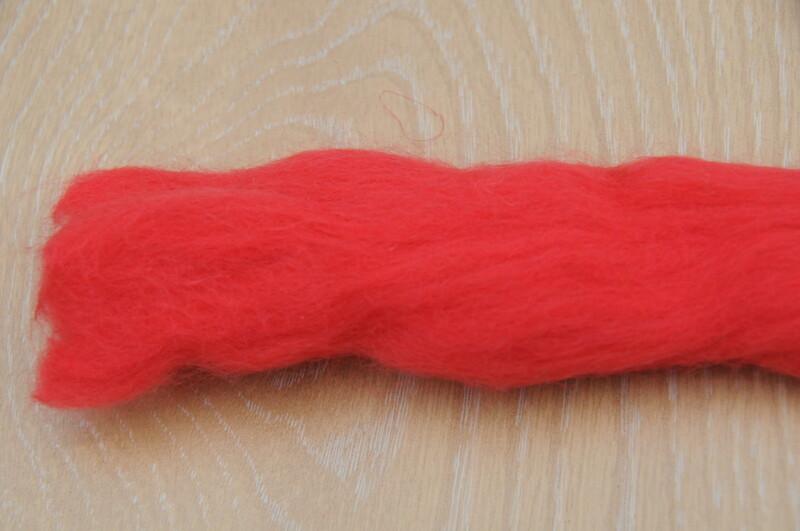 Take a long length of merino wool roving and spread the fibers out as shown. They can be laid down over the first layer, lengthwise or widthwise as desired. 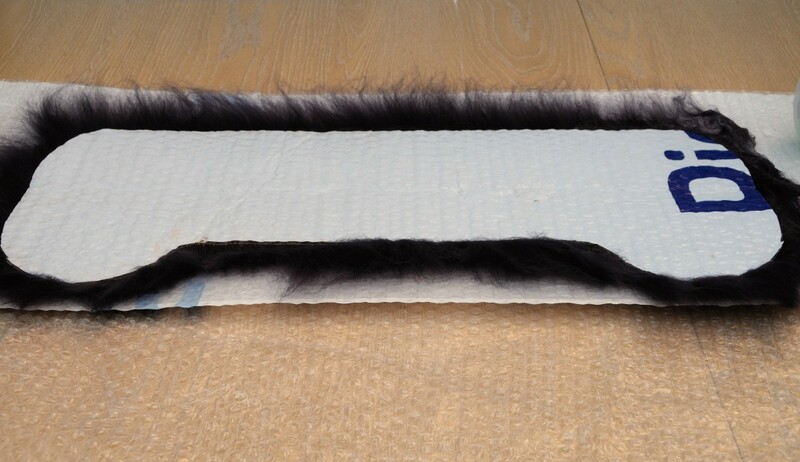 Alternatively, you may wish to repeat the first layer once more and put the spread out fibers down as your top layer. 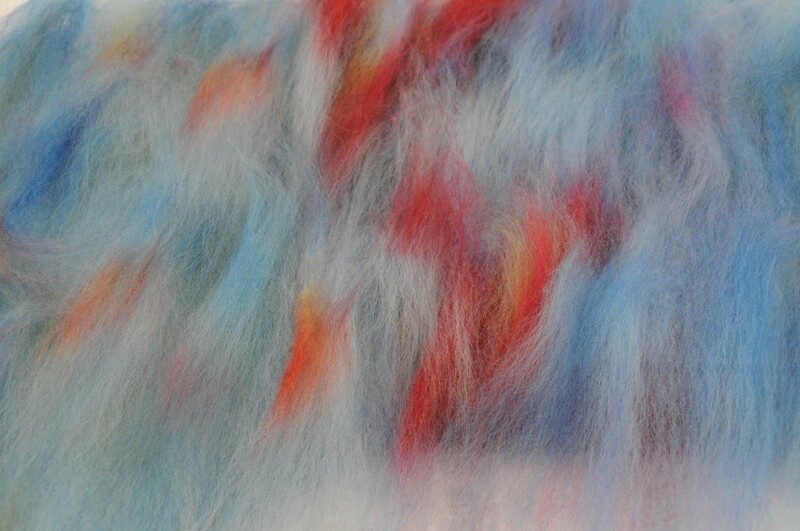 If the fibers were dip dyed this can make the finished project very interesting! 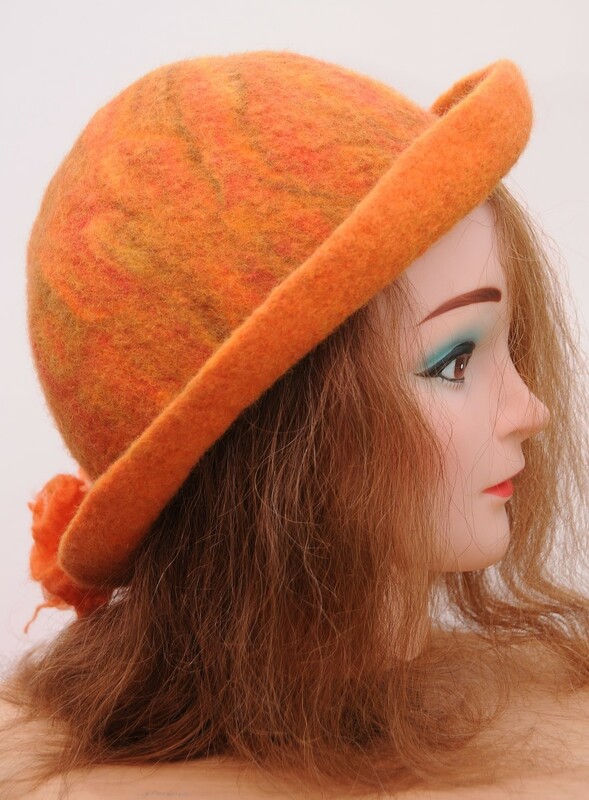 Cover both sides of the Second Layer with the Opened Out Merino Wool Roving. 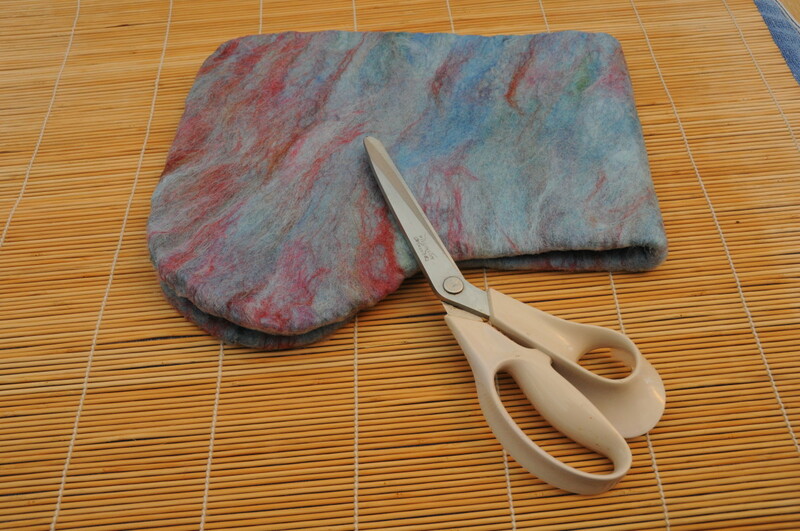 Cover the template on both sides with the spread out wool roving. It can be put down widthwise or lengthwise. 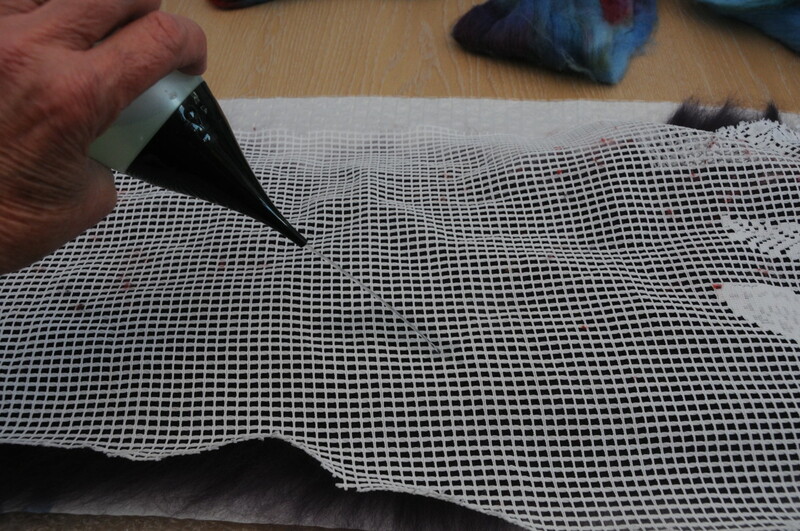 Alternatively, you may like to keep this layer as your final layer and repeat the Navy Layer on the second layer. You need a total of three layers. One should be the spread out thick layer and two thinner ones which should give you the perfect thickness for the boots. A Note On Using Bamboo Blind! 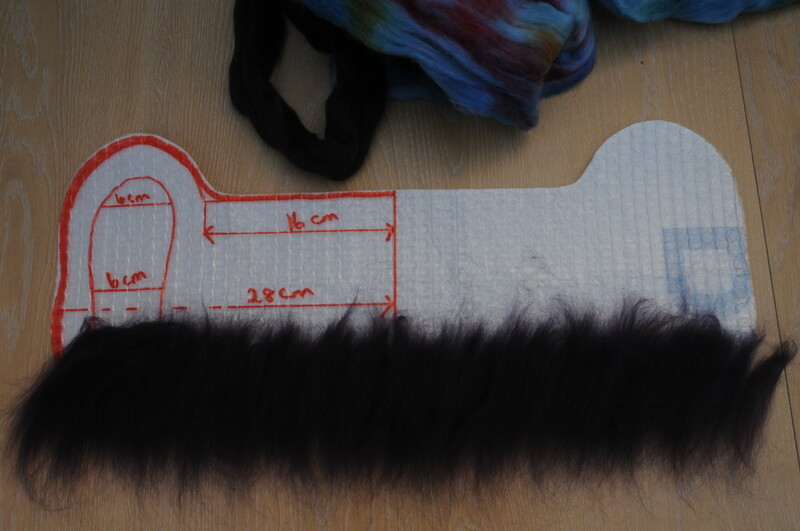 Bamboo Blinds really are great Tools for Feltmakers. They can be bought very cheaply from Car Boots and Thrift Shops. 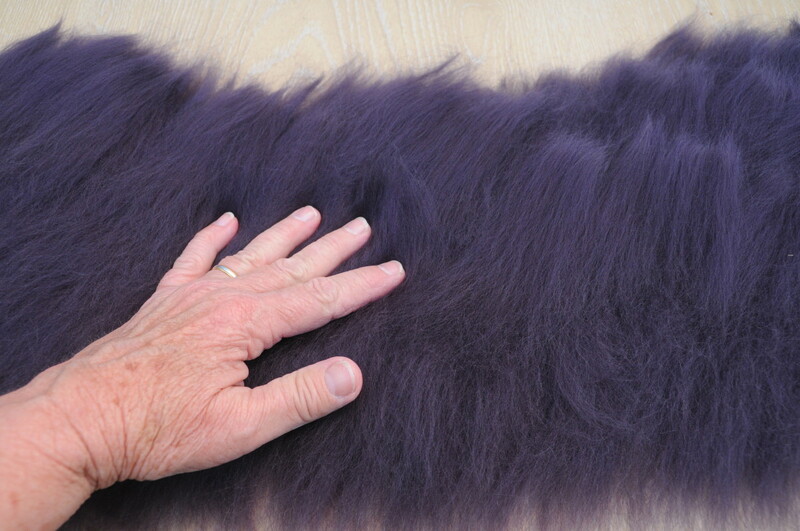 They help speed up the felting process help one maintain perfect seamless edges. 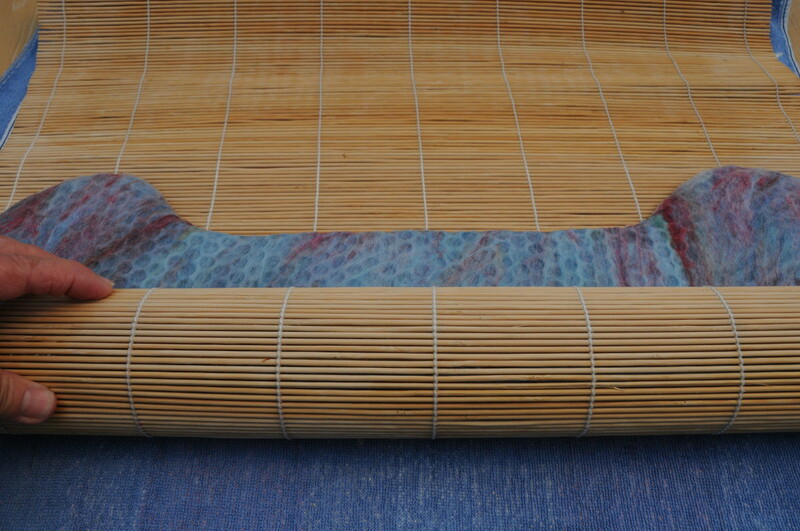 The position of the template inside shifts slightly as you roll helping to avoid unsightly uneven edges. Time to Start Shrinking the Boots! 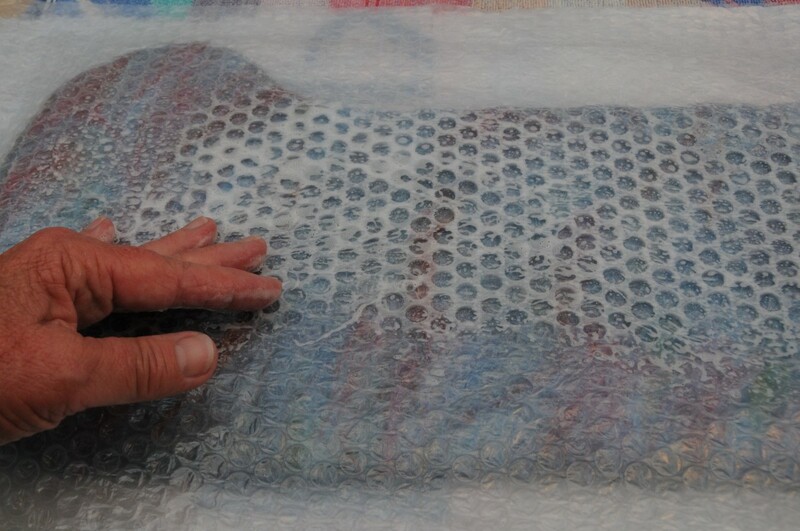 Take the boots to the kitchen sink and using a folded piece of bubble-wrap begin to rub the fibers with. 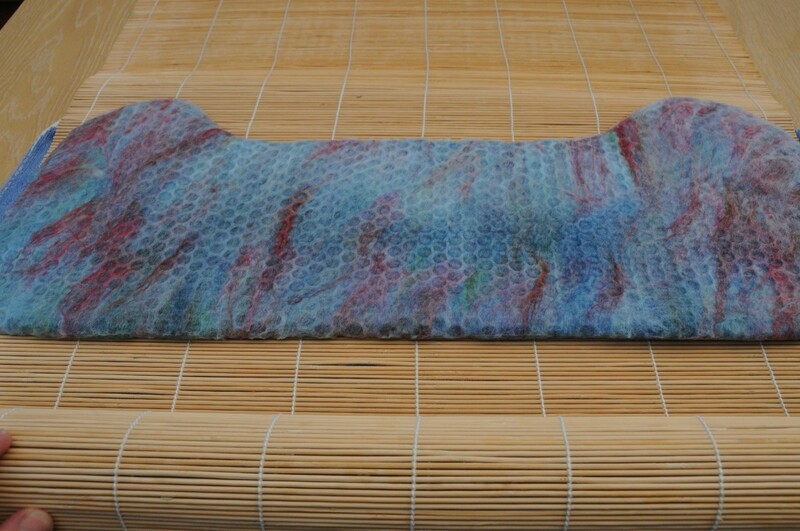 Use warm water from the tap and add more soap to the fabric as you massage. 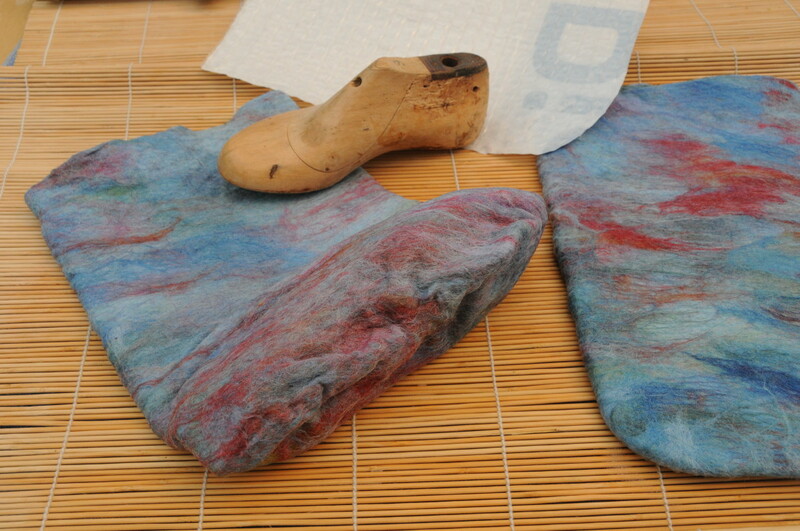 I used a slightly larger wooden last to start the felting process with and then replaced it with the Jelly Shoes as it started to shrink. It Is, however, not necessary you can just use with the Jelly Shoes stuffed with Bubble-wrap. 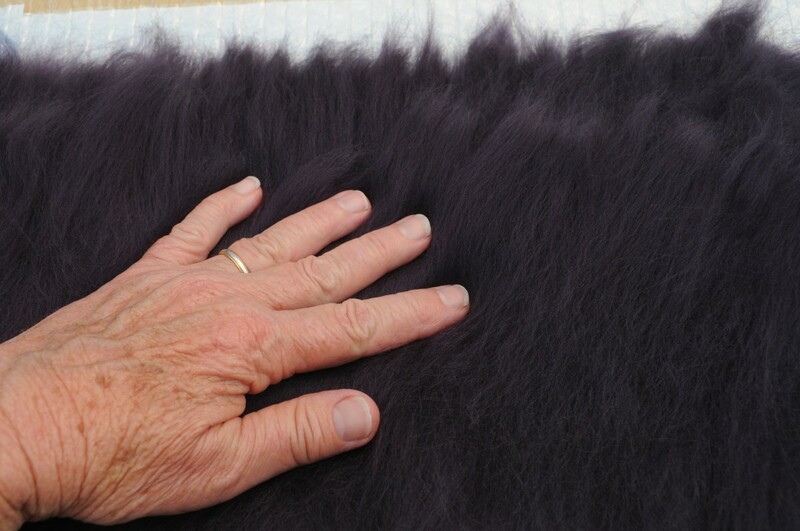 Begin rubbing on the bottom of the boot and work gradually around the sides and back of the last. 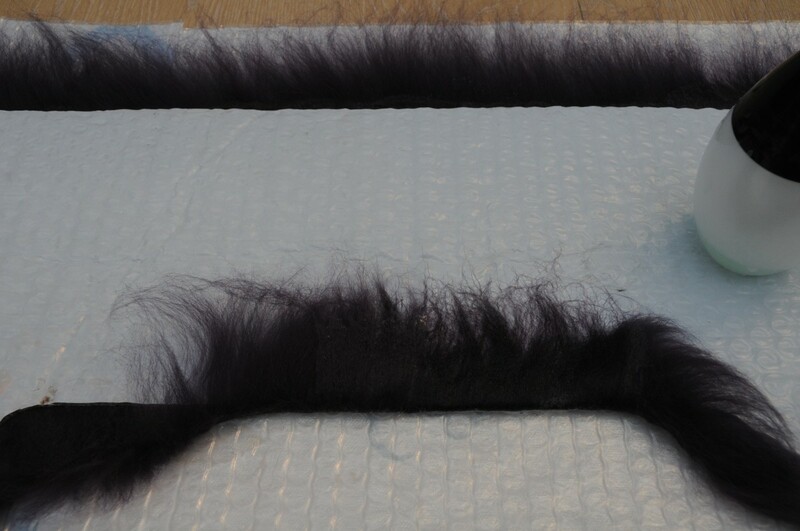 You will soon see the fibers beginning to shrink against the last. Don't worry about the top section until you have the shape of a boot in your hands. 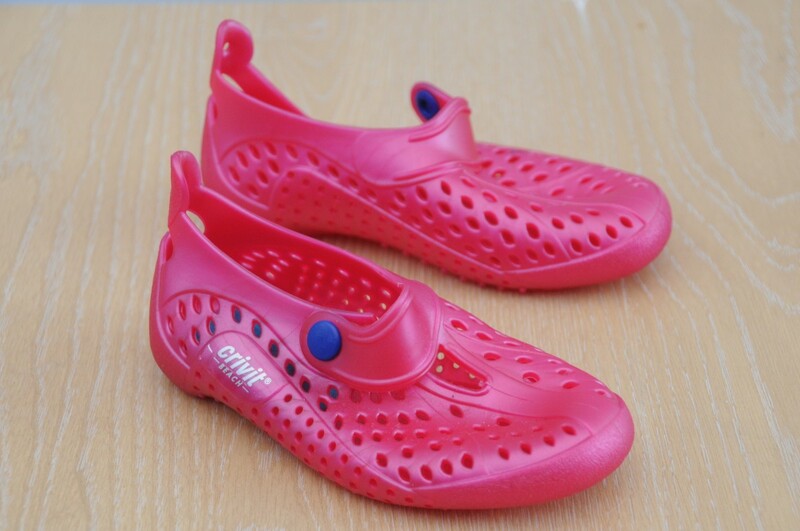 If you started with a larger shoe last, you might like to take now and replace it the Beach Shoes. 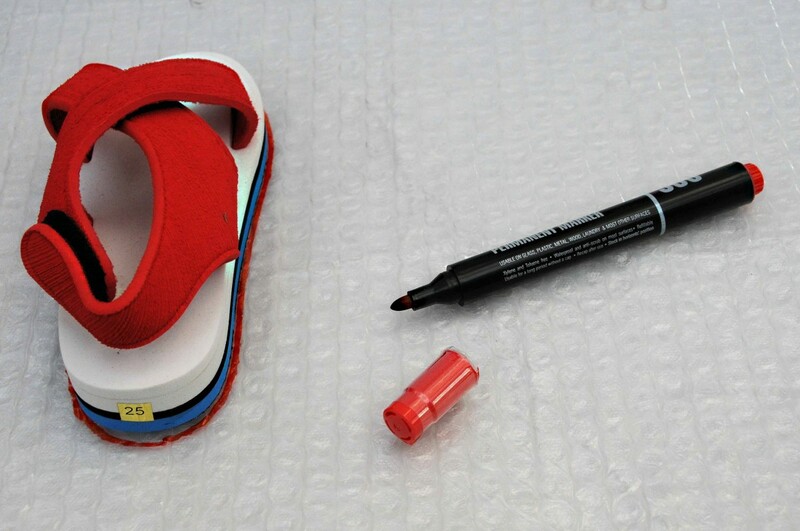 Continue rubbing the foot area until it has shrunk to the size of the Beach Shoes. Don't rub the area where you will cut the tongue yet. 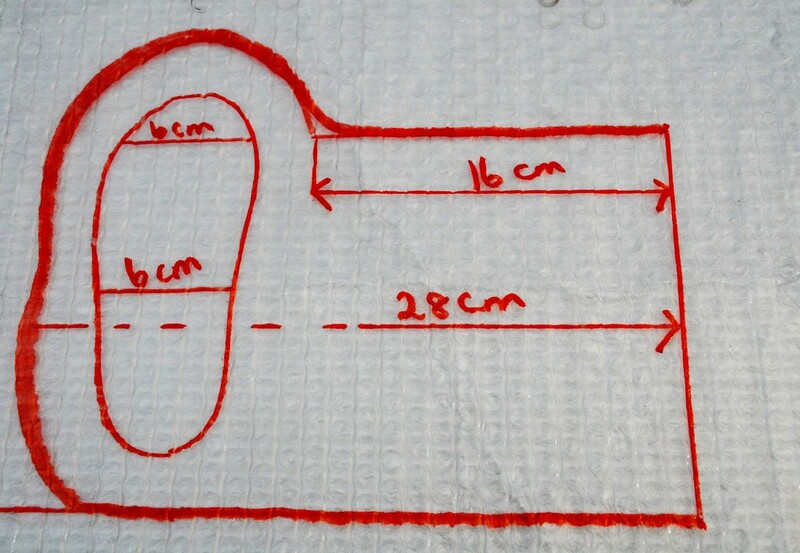 It should be shaped into a fold as shown before you cut a slit down the side to form the tongue. You can shape it more once you have cut the tongue slits. Slit down the fold with a pair of scissors and work on the tongue until you are happy with the result. 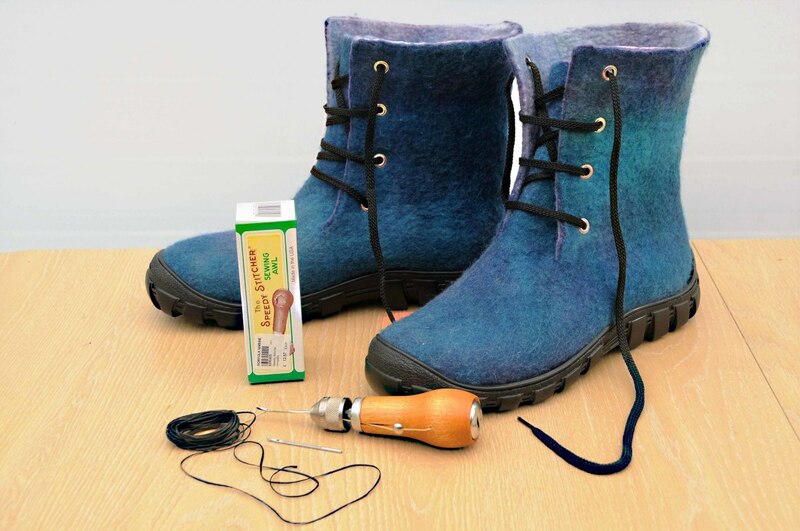 Put the shrunken Boots into the Shoe Soles and rub with hot soapy water to get a Perfect fit! 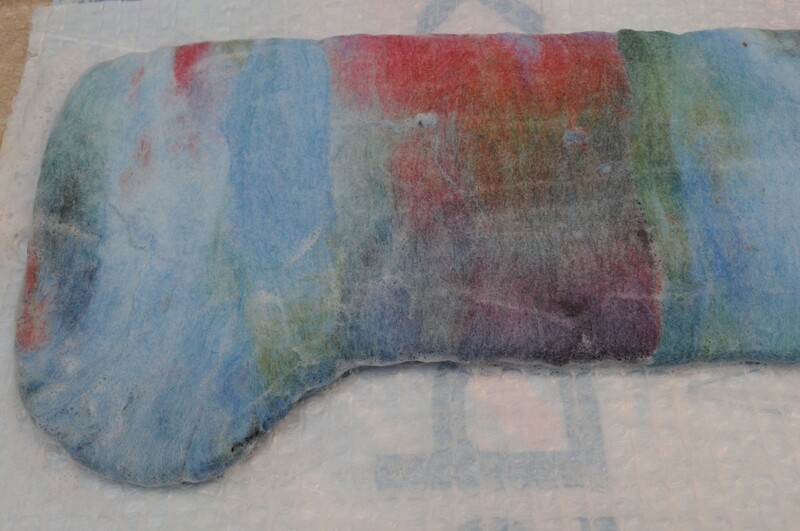 Put a thin layer of the latex onto the Recycled Sole. Insert the Felt Boot into the Sole making sure that all the edges line up correctly. 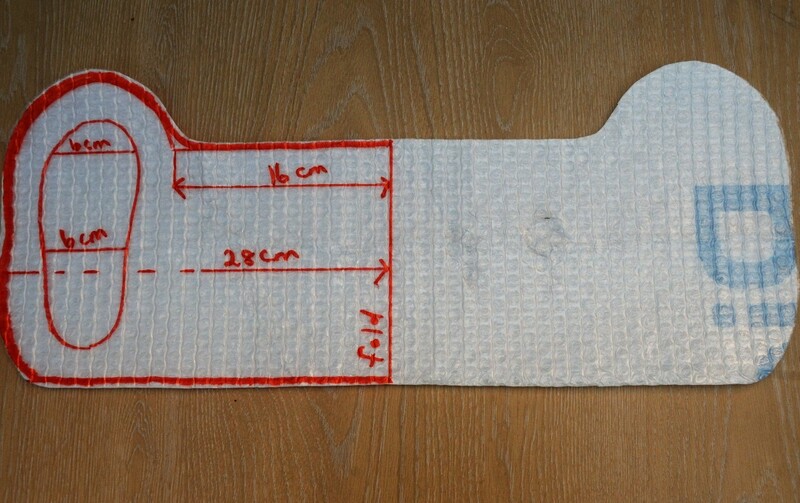 Wrap a wide piece of cloth around the boot to keep the two pieces together whilst it dries. 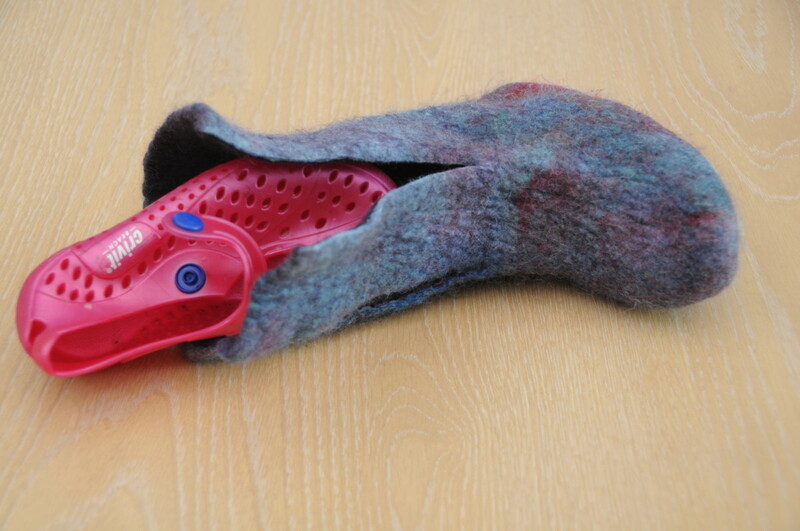 You may wish to drill a few holes into the edges of the sole and use a Speedy Sewing Awl to complete the attachment. A Speedy Awl can be purchased from e-Bay or Amazon or you may be lucky enough to have a Ship's Chandler close by. An Awl can also be used to repair awnings, sails, and heavy material so you will very likely find one there. The Gede Latex is a product which I discovered fairly recently but it is showing great promise and appears to be the perfect product for attaching the Sole to Felt Boots. 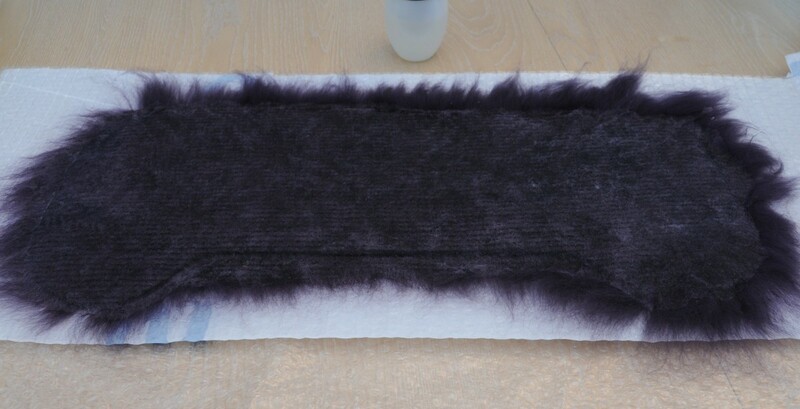 It does not discolor the fabric, maintains the softness of the fabric whilst making it waterproof from the ground up. Close up of The Speedy Stitcher Awl. A little more about the Speedy Stitcher Awl. 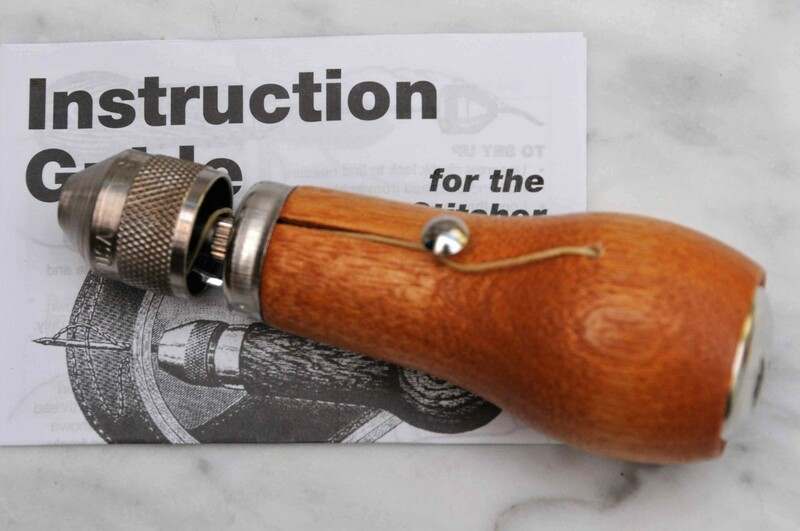 It comes with Instructions and Waxed Thread with 2 needles which are hidden inside the handle of the tool. Please see the video below which gives detailed instructions on how to use this great little Tool. 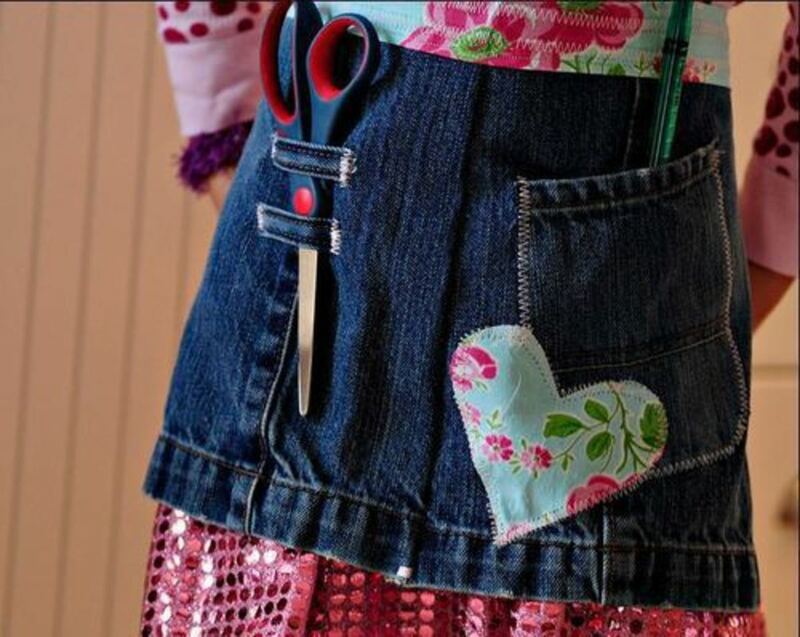 How important is the idea of recycling and re-purposing to you? Thank you so much! I have written to you separately about the fedora hat you asked about. I still can't get over the fact that one can make 3d items from just a few fibres, soapy water and some friction. 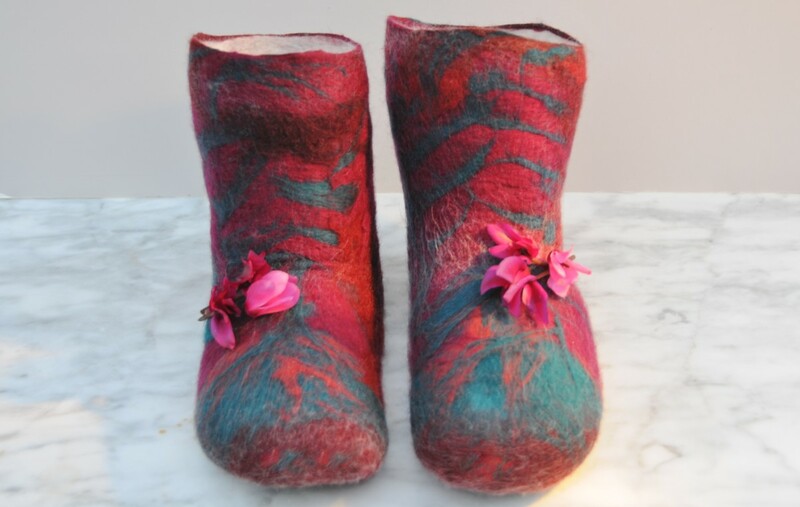 Start with something like a flower or a little pair of booties so that you can learn how the wool behaves under your fingers. 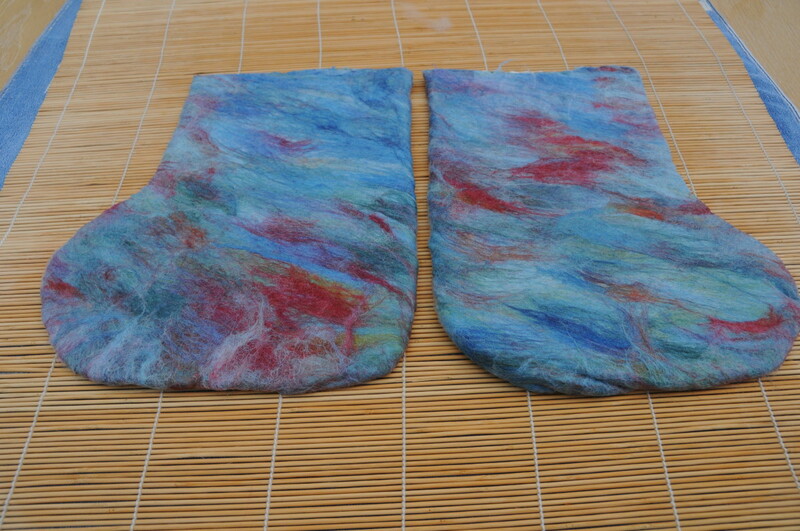 Felting is not an exact science but it sure is an interesting medium to work with. I am glad I have piqued your interest. Thanks for stopping by to comment. Love those cute boots! 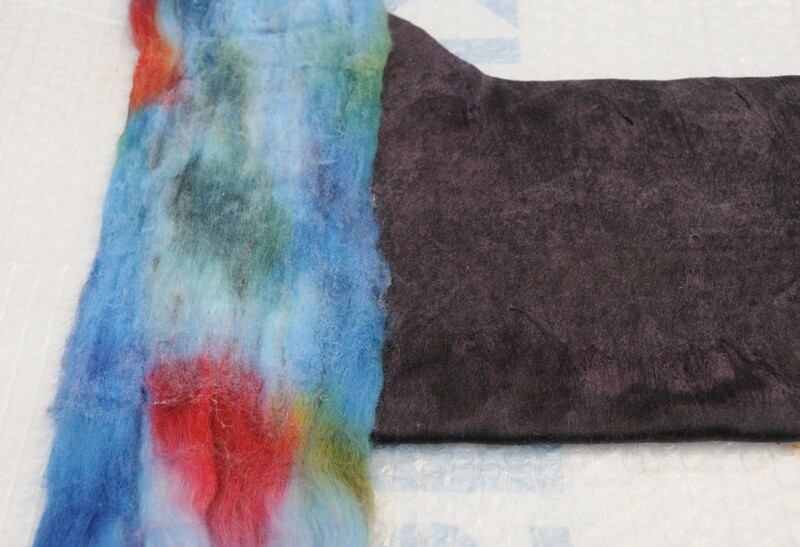 I had no idea what wet felting was until I found your hubs. This is a craft I want to learn. Saving your hubs for when I'm ready to begin. So glad you enjoyed it MartieCoetser, the creative spirit should never be abandoned. 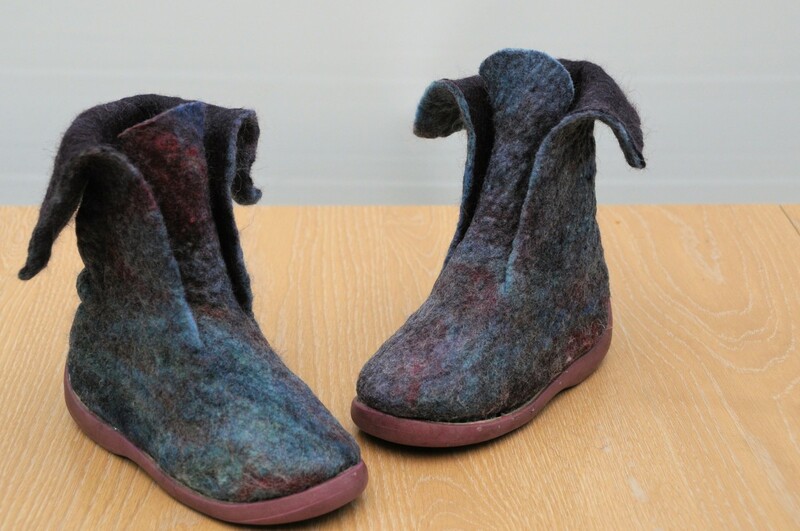 I hope you can draw a little inspiration from these little Boho Boots. This is extremely interesting! Really triggering my creative spirit. Thanks for this awesome free tuition, sallybea! So glad you enjoyed this Tutorial. I can say that I enjoyed making them very much. The end result still makes me smile as they remind me of little donkey ears. 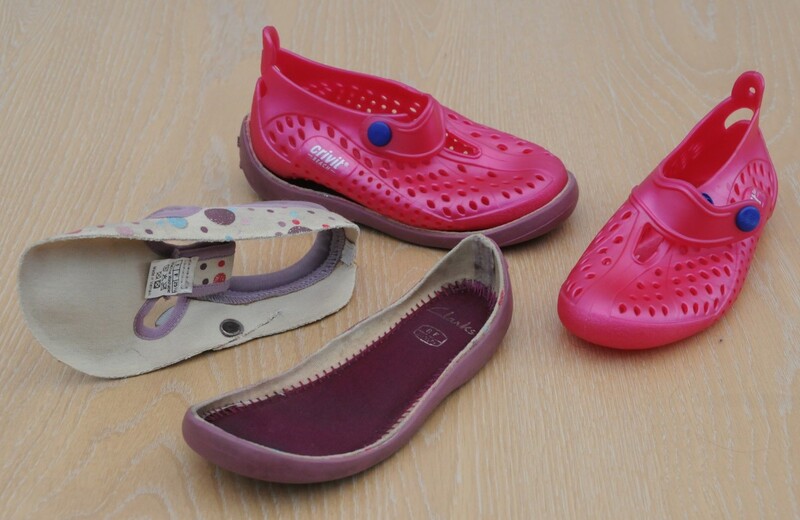 As for your shoes which can be stored flat on a shelf! I am intrigued, I think I might go looking for them:) Thanks for stopping by to comment, every visit is valued and appreciated. Your final product is fantastic! I recently saw an article on shoes that you wrap around your feet. You can store them flat on a shelf. I'll bet your would know how to make these, right? So glad you enjoyed this Tutorial. I loved sharing it with everyone. Thanks so much for taking the time to comment. Hi sallybea you have a creative mind and always a new idea. I just had to stop by o see for myself. Your work is fantastic! I think that they are taking advantage of these free Tutorials. 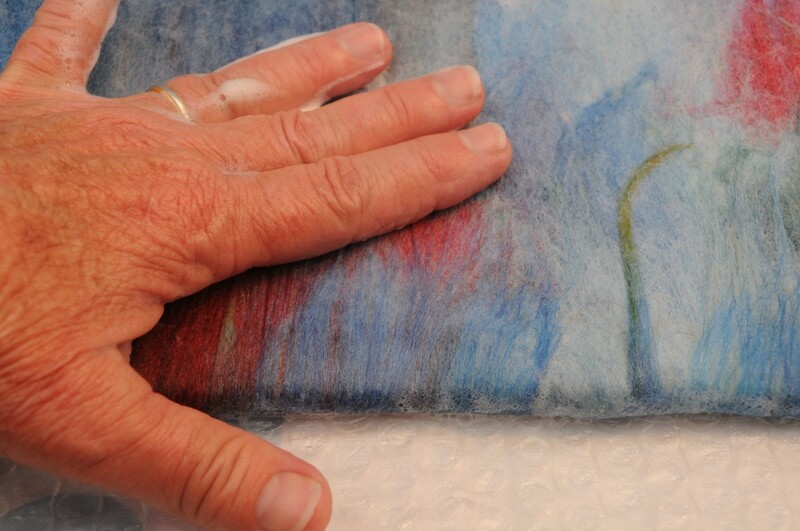 I have had a great reaction from the felting community on Facebook and Flipboard. I am delighted and I think that they are too. Thank you for your feedback. It is always such a pleasure to have you grace one of my pages. Sally, I hope that the craftily inclined take advantage of these tutorials you offer. These boots are darling. Thank you so much. You are valued and appreciated. I love this project! Your tutorials are so creative and inventive. Thanks, as always, for sharing your wonderful ideas and projects! It was a very satisfying project with a great outcome. 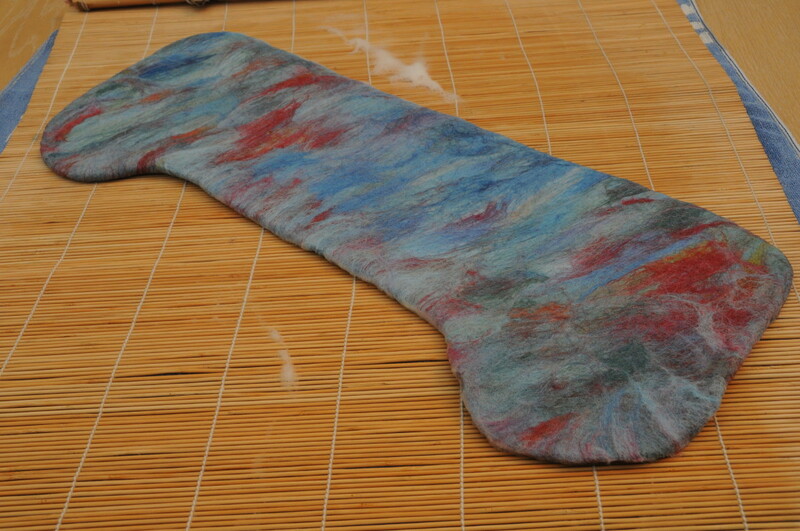 Even now, after a few years of writing these felting Tutorials, I am still in awe of this thing we call Wet Felting. 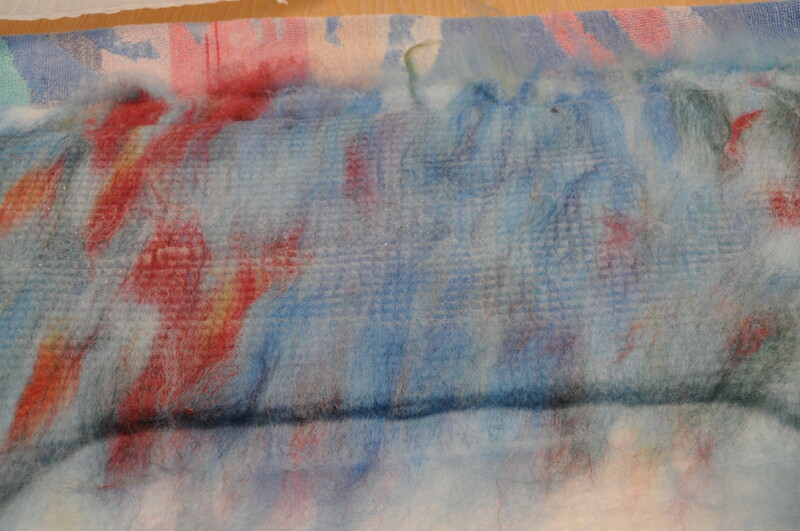 Amazing how on can turn a few woolen fibers into wearable art with just a little soapy water and lots of rubbing and rolling. Thank you so much for taking the time to comment. Looks like a wonderful project. Other than your articles, Sally, I have never seen anything wet-felted...until yesterday. 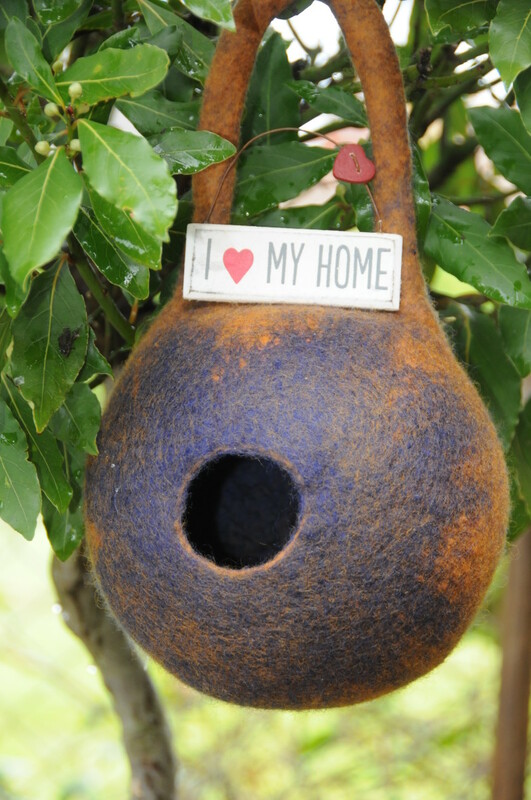 In a gift shop I saw a wet-felted birdhouse. LOL And I was so excited. LOL And I have you to thank for that excitement.